The Circle of Life continues with an all-new animated series about the next generation of the Pride Lands. You may have met Kion and his friends if you watched the “The Lion Guard: Return of the Roar” and the premiere of the animated series this month. 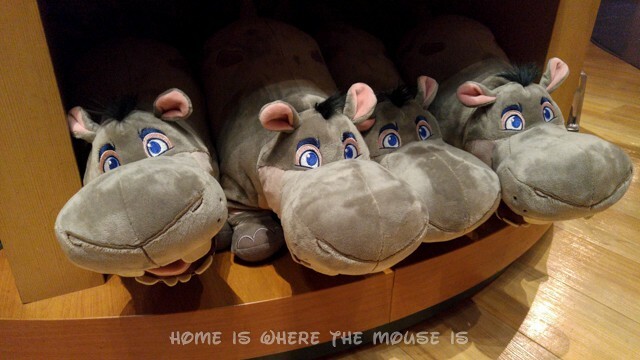 Now they are coming to Disney Stores and Disney Parks. 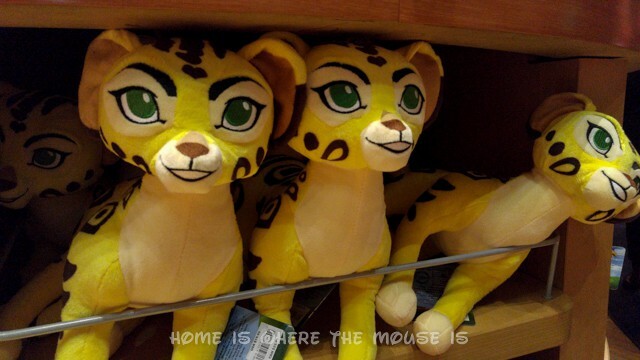 We’ve got a look at some of the merchandise and some information on a special “Lion Guard Adventure” at Disney’s Animal Kingdom theme park at Walt Disney World Resort in Florida. 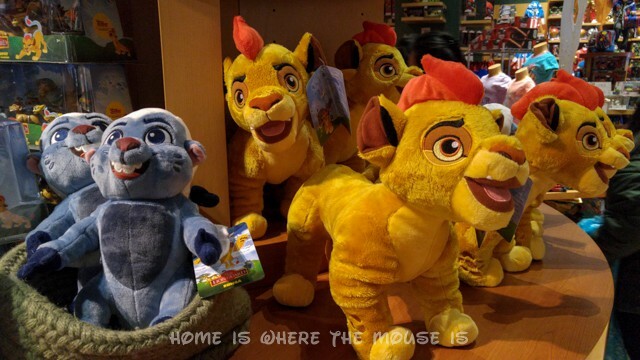 The trailer was for the TV movie “The Lion Guard: Return of the Roar”. The movie introduces us to a whole cast of new characters and gives us the back story. But where does this fit in? Kiara is a cub in this series, which means these stories take place during The Lion King 2: Simba’s Pride. From what I’ve seen so far, the story is pretty interesting. 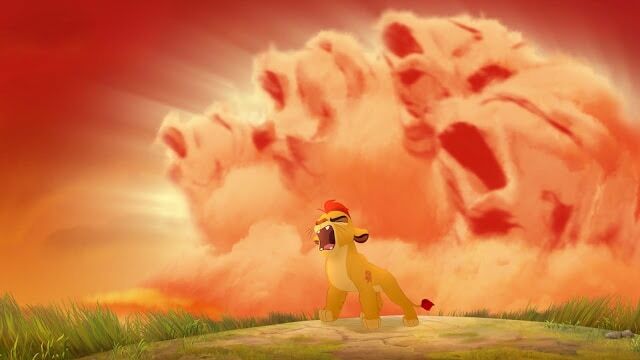 As an adult who still ranks The Lion King as one of Disney’s best movies, how this new story reveals more about Scar is pretty cool. For the Disney Junior audience, it’s a fun tale that celebrates diversity and teamwork. You can keep up with the adventures of Kion, Bunga, Fuli, Beshti, and Ono in their new series “The Lion Guard: Defenders of the Pride Lands” which airs every Friday at 9:30am (8:30am Central) on Disney Junior. 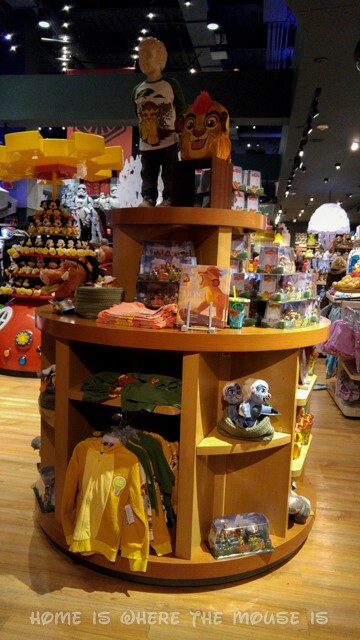 With the launch of the new series, toys and other merchandise have made their way into the Disney Store. I found this display on my latest visit. This had previously been used for “Miles From Tomorrowland” merchandise. 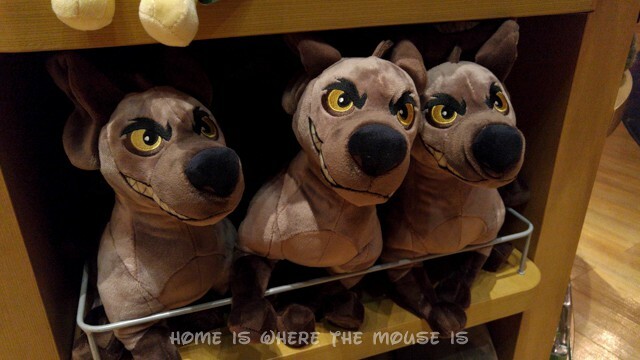 The plushes look great, but I’m not sure we’ll be buying any yet. Of course, knowing our kids, if we offered to buy them they’d say “Yes!”. 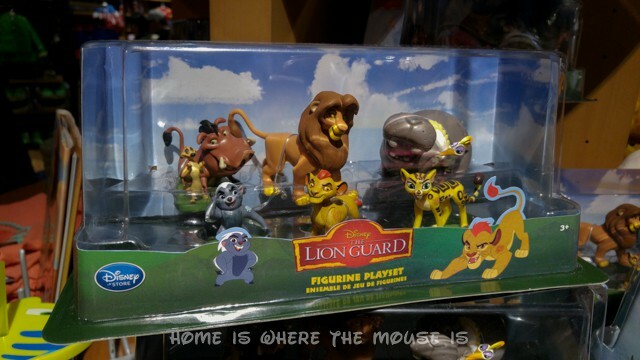 But given the choice between these new characters and something else they love, I’m not certain they would choose the Lion Guard. Our oldest says she has outgrown the Disney Junior shows, though I do catch her watching them now and then. Our little guy has seen the Lion Guard, but if I ask him if he has a favorite character, he says no. The Lion Guard Adventure at Disney’s Animal Kingdom theme park was offered in February and March of 2016. It is no longer available. We do not know if it will ever return. Guests participate by picking up a Lion Guard Adventure Map and searching for character statues hidden in locations that represent each animal. 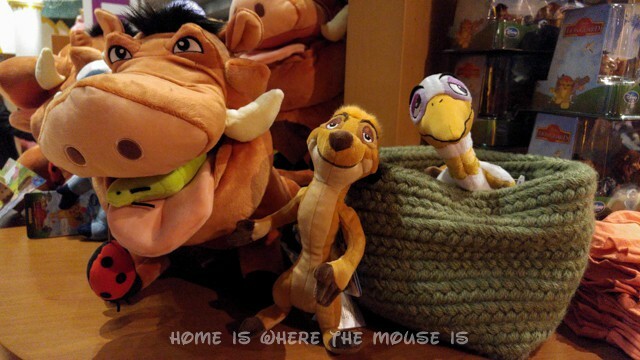 During this journey, Guests will learn about animals and the Circle of Life. 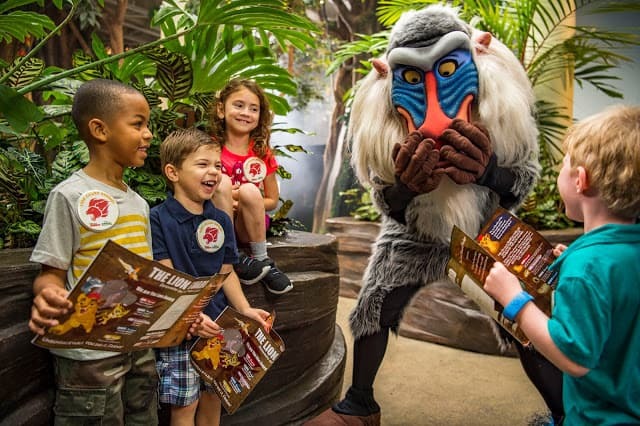 After finding all five characters, Guests finish the adventure at Rafiki’s Planet Watch where cast members induct participants into the Lion Guard with a special pledge, fun activities, and an honorary Lion Guard member button. New members can get a photo taken with Rafiki. More Lion Guard experiences will be available inside Conservation Station, including a special look at Disney Junior and Disneynature’s new short-form series, “It’s UnBungalievable”, hosted by Bunga and Ono from “The Lion Guard”. In the meantime, what do you think? The Lion King is one of the best Disney movies of all time and now a hit Broadway show, and the Festival of the Lion King show in Disney’s Animal Kingdom is incredibly popular. Will this new series live up to the legacy of The Lion King? Or will it be just okay, like Simba’s Pride? And would you like to see this new experience at Disney’s Animal Kingdom extended beyond March? Let’s hear your “Roar” in the comments below! !